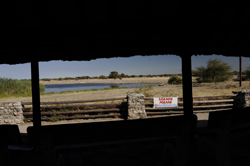 Namutoni Camp inside Etosha National Park accommodation guide everything you need to know before visiting Namutoni Camp inside Etosha National Park Namibia. 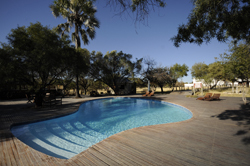 Photographs, room types, activities, facilities, location booking information costs rates and prices for your stay at Namutoni Camp inside Etosha National Park, read all the accommodation information about Namutoni Camp . 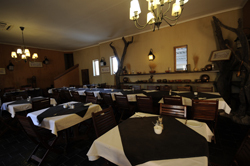 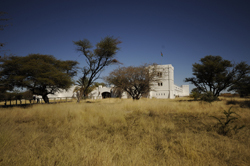 On the eastern side of the Etosha National Park, Namutoni centers around a beautiful old German Fort, overlooking the flood-lit King Nehale waterhole. 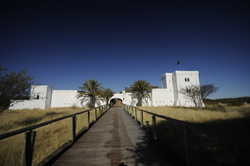 The Fort dates back to a German police post built before the turn of the 20th century, which was later used as an army base. 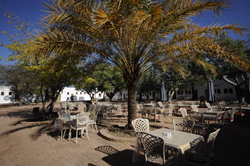 The Fort has now been developed into the hub of activity, offering two restaurants, private chill lounges, a bar, craft boutique, curio shop, jewelry and bookstore. 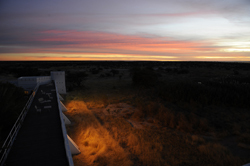 The Fort area is for pedestrian access only, and an elevated decked walkway along the water-hole facing wall provides opportunities for enjoying the surrounding scenery, wildlife and the spectacular sunsets over the flood-lit waterhole. 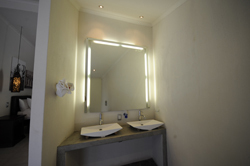 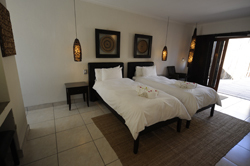 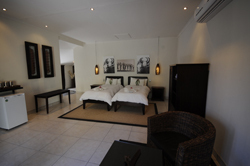 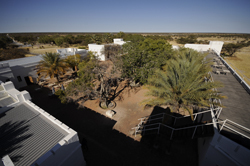 Accommodation is provided in comfortable en-suite double rooms, interconnected through elevated wooden walkways, or spacious bush chalets, all equipped with private relaxation areas and outdoor showers. 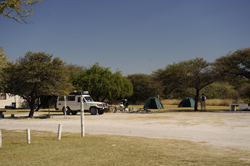 Camping is also available.